Kroger, the largest supermarket chain in the United States, has just received recognition for their stores' technology and innovation for consumer food safety. The retailer announced on June 3 via press release that their company was named a winner of the 2015 CIO 100 Award by International Data Group's CIO Magazine. Kroger won due to their FAST Alerts, a state-of-the-art food temperature monitoring system the retailer uses in their stores, and will be presented with the award in Colorado this August in a formal ceremony. The award-winning innovation, known as FAST Alerts or Food at Safe Temperature, constantly monitors the temperatures of cold and frozen food cases, then sends a notification if it senses a change in temperature in a case. Store associates receive the notification thanks to the interactive sensors connected in each store's in-store network, and removes the need to have the standard paperwork of a manual temperature log. The program and application resulted from collaboration of Kroger's Facility Engineering, Food Safety, Technology, Pharmacy, Merchandising and Retail Operations departments, as well as store leaders and associates. The food and supermarket industries have been surrounded by by recall news from brands such as Blue Bell, and while many such recalls begin with the manufacturer, it's more important than ever for supermarkets to monitor their food's freshness. Kroger has shown their commitment to customer satisfaction and safety by implementing FAST Alerts for round-the-clock monitoring and real-time data of cold cases. “FAST Alerts is a perfect example of the Customer 1st Innovation we strive for – it saves money and frees up time for our associates to engage with customers,” says Hjelm. “Most importantly, this technology is helping to improve our already vigorous food safety efforts." FAST Alerts can be sensed if there is a mechanical breakdown in the food cases, but will also alert the store if someone left a freezer door open. In either circumstance, the stores save valuable time, money and inventory. Kroger has a long history of technological innovation. It adopted Que Vision in 2010, a data analytics system which reduced the average customer wait time at checkout from four minutes to less than 30 seconds. Que Vision combines infrared sensors over store doors and cash registers, predictive analytics, and real-time data feeds from point-of-sale systems. 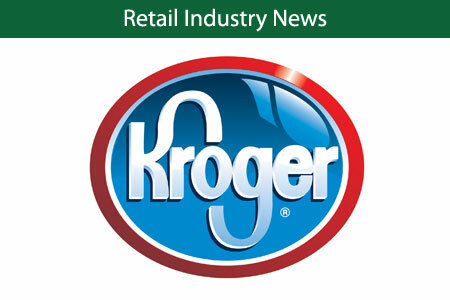 Kroger operates more than 2,600 stores in 34 states. In addition to its own stores, Kroger owns 30 additional retail names, making it the biggest grocer in America and a challenger to Wal-Mart. International Data Group is a global provider of market intelligence, advisory services, and events for the information technology, telecommunications, and consumer technology markets, and published their CIO Magazine 12 monthly. Their CIO 100 annual awards honor those companies that demonstrate exceptional devotion to innovation and technology for their business' growth. A complete list of the 2015 winners may be found on CIO's website.